Vintage / Retro 1985 Go For Broke! 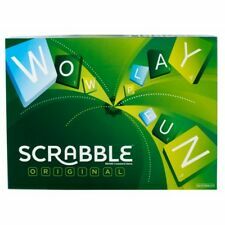 Board Game by MB Games. Condition is Used. Dispatched with Royal Mail 2nd Class. FOR AGE 16 FOR 4 TO 5 PLAYERS. WAS BOUGHT A YEAR AGO BUT NEVER USED. OTHERWISE ALL INTACT. Abslolute Balderdash game - hilarious bluffing game. Condition is New. Dispatched with Royal Mail 2nd Class. unwanted present - still in original film wrapping. 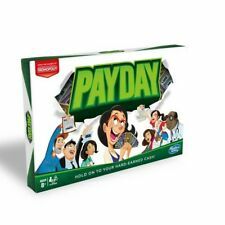 Hasbro Speak out Party Board Game - New. Condition is New. Dispatched with Royal Mail 2nd Class. 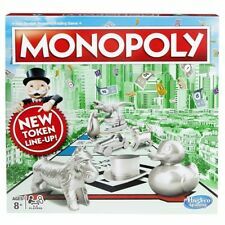 New listingMy Monopoly - Make your Own Game - New - Please Read. The images show the actual item you will receive. Speak Out Party 4-10 Players Mouthpiece Challenge Game Hasbro New Sealed . Condition is New. Dispatched with Royal Mail 2nd Class. Get ready to be doubled over with laughter with this ridiculous mouthpiece challenge game! The Speak Out game brings friends and family together for laugh-out-loud fun as players try to say different phrases while wearing a mouthpiece that won't let them shut their mouth. In the Speak Out game players draw from the deck and read the phrase as best as they can but it's not so easy to do when the mouthpiece is hindering them from forming words correctly. The timer counts down and the laughter begins as players try to decipher what in the world their teammate is trying to say and must correctly guess the phrase in order to earn the card. The team with the most cards at the end of the game wins. The Speak Out game includes 200 double-sided cards 5 mouthpieces and a timer. 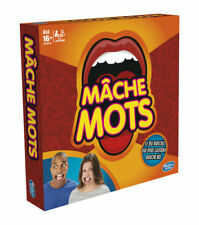 Hasbro Speak Out Game Mouthpiece Catchphrase Family Board Game. The laughter continues as players try to decipher what in the world their teammate is trying to say, and must correctly guess the phrase in order to earn the card. Skincare Products Health. Wooden toys. CYBERTRON WAR EDITION. 2 PLASTIC SPINNING ZONES. 2 PLASTIC SLIDING ZONES. 4 SETS OF ARMY PIECES. 5 EIGHT SIDED DICE. 5 SIX SIDED DICE. STICKER SHEET. "ABSOLUTE BALDERDASH, 20th Anniversary Edition". Drumond Park 2007. New/Sealed. You are looking at an "ABSOLUTE BALDERDASH, 20th Anniversary Edition". By Drumond Park 2007. We dont have the room to keep all of them esp when our own take up so much space! Shrink wrapping sits tight over the box. You know what you'd like to say if you could only find the words. If your team says the guess word you get the point. But your opponents are always looking over your shoulder, watching your every move. The laughter continues as players try to decipher what in the world their teammate is trying to say, and must correctly guess the phrase in order to earn the card. Hasbro Gaming. Baby and Pre School. Only has one dice. Everything else is present and correct. "THE BIG TABOO" with squeaky Bendy Bob, description game. Parker 2006. Complete. "THE BIG TABOO" with squeaky Bendy Bob. Great family fun. The set is complete and is in UNUSED, SEALED condition. Each turn a card entry is read out and every player writes down their own made up answer. 8 playing pieces. The hilarity really starts when all these phony answers are shuffled up with the real one and read aloud (keep a straight face so you don't give away which is yours). TABOO "THE GAME OF UNSPEAKABLE FUN" MB Games First Edition 1990 VGC . Condition is Used. Dispatched with Royal Mail 2nd Class. Grafix Egg Splat 4 Player Childrens Kids Family Fun Game Spin the spinner, choose an egg and see if you get a lucky break. Watch out! if you grab the rotten egg, you will end up covered in water! Reuseable eggs! 4 player game Age 5 . Hasbro Speak out Party Board Game (C2018). Condition is Used. Dispatched with Royal Mail 2nd Class. Good condition from pet free smoke free home. Each turn a card entry is read out and every player writes down their own made up answer. Vintage / Retro 1985 Go For Broke! Board Game by MB Games Used. Condition is Used- The game is complete however one of the wine bottles has no top and the lid and box had some wear and tear- see pictures. Game instructions are on the inside of the lid- see pic. Other game parts are in great condition. Dispatched with 2nd Class postage.